Feminism is taking a beating in the summer of 2018, but the fight is far from over. It’s summer: the time of year when I start feeling like a slouch, like I’m not getting enough done, and may never get enough done again. But then I remind myself of a wise Chinese Proverb: Tension is who you think you should be. Relaxation is who you are. Relaxation is an essential part of being human. Relaxing doesn’t mean you’re not as rugged as everyone else. It doesn’t make you weak and ineffectual. Relaxation makes you who you are, and who you are becoming. So I am welcoming this period of reduced work and enjoying the gorgeous weather this summer in New England. And at the same time, I am keeping my eyes and ears open to the world of feminist philanthropy, where fascinating, and frightening, events continue to transpire. Disney is Starting a New Way to Fund Women in Film. It’s called Dream Big Princess, and the initiative will fund 21 women and girls across 13 countries to produce short digital films about women who inspire them. Each like or share of the projects that has the hashtag #DreamBigPrincess will result in a $1 donation from Disney to the United Nations Foundation’s “Girl Up.” While I am not a big fan of the title for this initiative (can we stop calling women “princesses” once and for all?) my twelve year old daughter advised me not to make a big deal about that problem, as this is an important new step for a big corporation that we must acknowledge and praise. A new fund will give $100 million to women of color entrepreneurs. Richelieu Dennis, CEO of ESSENCE, announced the new initiative, entitled New Voices Fund, at the 2018 ESSENCE Festival in New Orleans. The fund has already invested in, or committed to, over $30 million in funding to black women entrepreneurs since its founding in 2017. This money marks a new advancement in funding for women of color who want to pursue entrepreneurial careers. Women of color entrepreneurs are a sector of our economy that is rapidly growing and in need of more financial investment. New Policy Briefing: Fight Corruption: Finance Gender Equity: This policy brief provides an essential outline of the impact of corruption in continuing the oppression of women. While government corruption might not sound like an important life-threatening problem for women, it most certainly is a big contributing factor to gender inequality. Corruption makes life more difficult, if not impossible, for the poorest people in communities. This briefing calls us to increase government transparency, particularly in procuring new business, so that women and girls have a decent shot at advancing in society. The report also explains governments can “close the loop on a key weapon used in corruption” by exposing and addressing violence against women. Commonwealth Commits to Gender Equality by 2030: Whenever a large network of governmental bodies ups their commitment to gender equality, the whole world should stand still and applaud. This past spring, the Commonwealth, a network of 53 countries with a total population of to 2.4 billion people, committed to achieving gender equality goals by 2030. A total of 305 million pounds (approx. $397 million in U.S. dollars) was committed to support this agenda at the meeting. What will this mean for real women and girls in the world? Hopefully 12 years of education for every girl and an overall improvement to the lives of 17 million people. Women Thrive Alliance Closes its Doors: The announcement came in late June that Women Thrive Alliance, which has been cultivating gender equality movements globally for twenty years, is closing its doors. Their work will continue through World Pulse, so all is not lost, but I wonder if this is an indicator of the downsizing that is happening in civil society globally. 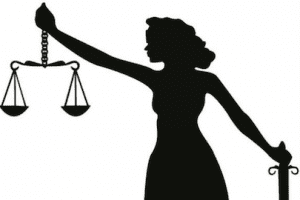 A paper published by Berkeley Law and the Urgent Action Fund for Women’s Rights also suggests that women human rights defenders are facing a tougher climate on the ground in many places in the world. I am also trying to understand what happened to the United States’ funding of the development sector’s gender equality and women’s empowerment issues. Data from the OECD suggests that funding from the United States for aid in support of gender equality and women’s empowerment went from $26.211 Billion in year 2014-2015 all the way down to $20.814 Billion in year 2015-2016. If I am reading this data correctly, that would mean that the US’s contribution to this funding dropped by $5.3 Billion dollars from 2015 to 2016. I have emailed the Washington office of the OECD for verification and explanation of this data, and am awaiting their response. The Crisis of the Century for Progressive Women Funders: Trump’s appointment of Brett Kavanaugh to the Supreme Court and what it bodes for Reproductive Justice. 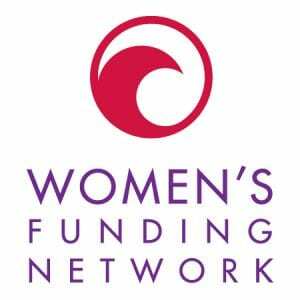 There is no doubt that this event has shaken and stirred the progressive women’s funding community like no other. This linked article gives a good sense of how the battle lines are being drawn. It will be up to women funders to help the grassroots protect this fundamental medical right. Trump’s Apparent Alliance with Putin and What it Means for Feminist Philanthropy — This article in The Guardian spells it out pretty clearly in this sentence: “From Europe to Asia, Trump is destroying alliances with democracies, while making friends with authoritarian leaders.” This can only mean bad things for feminist philanthropists, who can only thrive in an environment where human rights are respected and women’s autonomy and authority can continue to grow. Authoritarian regimes are not good for women’s empowerment. But there are Still Good Things Going On in Feminist Philanthropy. Gender Just Climate Solutions grantmaking is open. These alliances between gender justice and climate justice are one of the most important strategic moves in the space. Grantmaking is Open for Sexual Violence Prevention through the Sexual Violence Research Initiative here. And important for women journalists looking for funding is also the Buffett funding for women journalists, which closes August 5. The Data On Women Continues to Grow. WomanStats.org, which bills itself as “the most comprehensive compilation of information on the status of women worldwide,” is now open for business. You can create an account for free and mine the data on women to your heart’s content. Excuse me while I get lost in using this tool to study the research on women, starting with comparing murder rates of women in the United States, China, and the Czech Republic.